The purpose of this information is to acquaint you with financial assistance programs, the process involved to be considered for aid, cost factors, policies, and miscellaneous information. We sincerely hope this information will benefit you. Please direct any questions to our office, phone: (269) 294-4260, or message Financial Aid via our Contact Form. Financial aid is any source of funds available to assist students for the costs of a college education. If you think you will need assistance, you are encouraged to apply for financial aid. Whatever your situation, you can be sure that you will be treated fairly and equitably with respect to students in similar financial circumstances as your own.Most assistance is based on demonstrated financial need; however, some is based solely on merit. Merit programs, including most scholarship programs, help students who have special abilities. Often, you do not have to show financial need to receive money through merit-based programs. Not have a drug conviction for an offense that occurred while you were receiving federal student aid. Undergraduates who have already received a bachelor’s degree will only be eligible for loans. Students who are enrolled at more than one college or university at the same time may receive financial aid from only one of the institutions, not both. Contact the Financial Aid Office for more information. Cost of Attendance is the estimated cost of attending Glen Oaks for a full academic year (two semesters), including estimated amounts for tuition and fees, books and supplies, transportation, living expenses, plus a modest allowance for personal/miscellaneous expenses. Expected Family Contribution (EFC) is derived from an assessment formula legislated by Congress that is applied uniformly to all aid applicants and considers the financial information provided on the Free Application for Federal Student Aid (FAFSA). The formula determines ability to contribute toward the cost of education. For dependent students the EFC is the result of a combination of the parent and student income and asset information. For independent students the EFC is the result of the student and spouse (if married) income and asset information. Financial Aid packages are created for students throughout the academic year. All financial aid awards are contingent on the continuation of the programs and the availability of funds. The Federal Pell Grant is the foundation of the financial aid package. Federal Supplemental Educational Opportunity Grant (FSEOG) is awarded according to federal guidelines. Federal Pell Grant recipients with the lowest Expected Family Contribution (EFC) have first priority for FSEOG funding. Due to limited funds, FSEOG is awarded on a first-come, first-serve basis. The minimum FSEOG award is $400. Award packages are created based on expected full-time enrollment. Adjustments will be made up to the end of the published freeze date (approximately three weeks after the start of each semester) for changes in enrollment status. These adjustments will affect assigned budgets and award amounts and may result in reduced or cancelled awards. Students not enrolled in courses as of the published freeze date, will have a personal freeze date. The personal freeze date will be the first day the student registers for the semester; therefore, students will want to maximize their aide eligibility by enrolling in all of the courses they are planning to take on that initial personal freeze date. This information is noted in the Award Letter Supplemental Information sent with initial award letter. The College reserves the right to review, change and cancel awards at any time. The Federal processor selects some student financial aid applications (FAFSA) for verification. Students selected are required to submit a student, and spouse if applicable, federal tax transcript, a verification worksheet, documentation of untaxed income and income exclusion. Parent federal tax transcript and documentation of untaxed income and income exclusion documentation will also be necessary for a student whose parent information is required on the FAFSA. Other documentation may be required depending on results from the federal processor. The Financial Aid Office will send notification to students of all required documentation. Processing of a student financial aid file and awarding will take place once all required documentation is received. Unusual Enrollment History – Students that show an unusual enrollment history up to the previous four years will be selected by the Department of Education or Glen Oaks Community College and asked to provide official transcripts from each school previously attended. If a student cannot prove they received academic credit from their prior institutions, or a review shows that a student enrolled just long enough to receive a credit balance payment, the student will not be eligible for Title IV funds. All paperwork submitted to the Financial Aid Office is held in strict confidence under the guidelines of the FERPA privacy act. Required personal documentation must be maintained in the student files due to federal regulations. Student should retain a copy of all documents for their records. If the student requests a copy of documentation from their file, a signed request by the student is required. If a parent requests a copy of parent documentation from the student’s file, a signed request by the parent is required. Your eligibility for need-based aid is the total Cost of Attendance minus your Expected Family Contribution and other financial resources. In order to meet your need, the Financial Aid Office first awards any federal and state grants and scholarships for which you are eligible (e.g., Pell Grant and Michigan Competitive Scholarship). Applicants with financial need beyond federal and state grants can apply for scholarships, loans and the Work-Study program. Award amounts are determined by a combination of demonstrated financial need, federal award maximums, and available funding, among other factors. Because Federal Supplemental Educational Opportunity Grant (FSEOG) funds are limited, they are awarded to applicants with the highest need. When your file is complete, you will receive an award letter with a link to important supplemental information that you are responsible for reading, via student portal. Federal Pell Grant entitlement figures for full-time enrollment. Special Note to Students Enrolled Less than Full‐Time: Your financial aid will be awarded to you based on full‐time enrollment. If you are not enrolled full‐time by the end of the posted freeze date, your aid will be adjusted at that time. Supplemental information includes, student’s annual cost of attendance. A student’s total award package may not exceed the student’s cost of attendance. Award letters should be reviewed carefully by the student. To decline an award or reduce a loan amount, contact the Financial Aid Office. Unless the Financial Aid Office is notified to reduce or cancel awards, it is assumed that all awards are accepted by the student. 12 or more credit hours *Any courses for which there is an “I” grade on your transcript from a previous semester will not be counted toward your level of enrollment for a current semester for financial aid. An “I” grade means you agreed to complete the course by a specified date without re-enrolling. The federal student aid programs are based on the concept that it is primarily your and your family’s responsibility to pay for your education. A dependent student is assumed to have the support of parents, so the parents’ information has to be assessed along with the student’s, in order to get a full picture of the family’s financial strength. If you’re a dependent student, it doesn’t mean your parents are required to pay anything toward your education; this is just a way of looking at everyone in a consistent manner. All applicants for federal student aid are considered either “independent” or “dependent.” Dependent students are required to include information about their parents on the FAFSA. By answering a few questions, you can get a good idea of which category you fit into. Parental information must be provided by your birth parents or adoptive parents. Parental information cannot be provided by grandparents, legal guardians, or foster parents. Your FAFSA will not be complete until the financial aid office verifies and approves your circumstances. If you do not meet any of the above conditions, but still feel that you have special circumstances, you should contact the financial aid office to discuss your family situation. The U.S. Department of Education regulations give schools the authority to allow a dependent student to borrow a Federal Direct Unsubsidized Loan when the student’s parents have ended all financial support and have refused to complete and sign a Free Application for Federal Student Aid (FAFSA). In order to make this decision, the Financial Aid Office must verify that the parents have ended all financial support and refuse to file the FAFSA. Please contact the Glen Oaks Financial Aid Office for questions and information about required documentation. High cost of attendance because of circumstances such as higher than usual book or supply expenses or child care costs. Note: The cost of attendance can only be adjusted for child care expenses if the student is  single and provides at least 51% of the child’s support;  married, with a spouse/partner who is employed at least 20 hours per week; or  married, with a spouse/partner who is also a student. If you wish to present your special circumstance(s) to the Financial Aid Office, you should complete a Special Circumstance Appeal form available in the Glen Oaks Financial Aid Office. If after completing the appeal process you feel the situation warrants further consideration, you may ask for a review and consultation with the Director of Financial Aid. If you have a question or concern regarding a financial aid policy or decision, you may request a consultation with the Director of Financial Aid. For a comprehensive description of all the different aid available, please visit our Types of Financial Aid page. The Department of Education has announced that students that are eligible for Pell Grant may be able to receive a third disbursement of Pell Grant. Glen Oaks Community College will implement “Year Round Pell Grant” beginning in the summer of 2018. Students must be eligible for Pell Grant as determined by the Department of Education, and must be enrolled at least half‐time for the summer semester. Half‐time enrollment is six credit hours for undergraduate students. It is important to note that this change will not result in extra Pell Grant being awarded to a student over the course of their undergraduate enrollment. The maximum time frame that eligible students may receive Pell Grant is for the equivalent of twelve (12) full‐time semesters. In the past, a full‐time student could receive only two disbursements per year. Now that student will be able to receive up to three Pell disbursements in one academic year. Students that have been awarded Pell Grant for the 2018‐2019 academic year are encouraged to contact the GOCC Financial Aid office for assistance with financial planning for the Summer of 2019. Students are required by federal regulations to report all sources of financial assistance to the Financial Aid Office. All resources of aid must be included in the student’s financial aid award package to ensure an over award has not occurred. In general, if you receive outside aid (including scholarships from Glen Oaks), it will first be applied against any costs that have not been accounted for in your financial aid package (i.e., the gap, if one exists, between the cost of attendance and your EFC plus the financial aid offered). Next, it will be used to reduce your loan or Work-Study award, thus reducing the funds you must borrow or earn by working. Awards made by the Financial Aid Office or notification of additional aid by the student or an outside source after the initial award letter is mailed may result in the adjustment of awards. Adjustments are made to ensure compliance with individual program requirements and to avoid over awards in the total award package. For detailed information about applying for financial aid, please see our Apply for Aid page. Grants, scholarships, and loans administered by the Financial Aid Office are first applied directly to your student account to pay tuition, fees, and other college charges. Financial aid awarded for a specific term can only pay for charges for that same term. Students whose financial aid exceeds the charges on their student account will receive a refund on their account, which may be used to pay other educationally related expenses. The refund will be in the form of a check and will be mailed to your current address on file with the Glen Oaks Registration Office. 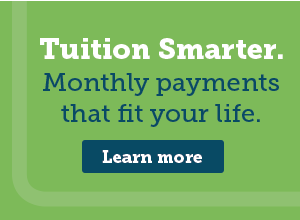 Financial aid refunds are paid (disbursed) to you no sooner than 6 weeks after classes begin. Enrolled. Some scholarships require full-time enrollment before disbursement. Being wait-listed for a course does not count toward your enrollment level. Note: Aid awarded for a specific term will only be disbursed to you during that same term. If you have Direct Loans, you must complete your Direct Loan Master Promissory Note (MPN) online at StudentLoans.gov website to receive your funds. If you previously signed a Direct Loan MPN, you do not need to sign another one to receive Direct Loan funds. First-time Direct Loan borrowers who are first-year students must also complete Loan Entrance Counseling. Note: All loans are disbursed in TWO payments. Student loan borrowers that have completed their degree/certificate or are not planning to return to GOCC, must complete Loan Exit Counseling online. A hold will be placed on the students account and transcripts will not be available until the process is completed. Work-Study awards are earned as wages by working in positions with eligible employers. Wages are typically paid bi-weekly. Students who are interested in community service may find a number of positions available through the Work-Study program. If your scholarship check is sent to the College, it will be directly applied to your student account, one-half in the Fall Term, one-half in the Winter Term, unless otherwise specified by the scholarship sponsor. Payments are usually processed within four weeks of the start of each term, upon full-time registration. If the payment creates a credit balance on your student account, the credit will be released to you by check. If your scholarship check is sent directly to you, but it is made out to the College, you should take it or send it to the Financial Aid Office for processing. If your scholarship check is sent directly to you, and it is made co-payable to you and the College, endorse the check and submit it to the Financial Aid Office. If your check is made payable to you only, it is your responsibility to report this resource to the Financial Aid Office to apply any funds necessary to your student account. When you accept the offer of financial aid specified in your award letter, you agree to accept and fulfill all of the following responsibilities, including the terms and conditions set by the federal regulations for financial aid. If you receive additional funds not listed on your award letter, report them immediately to the Financial Aid Office, even if the office making the award will advise us directly. If there is any change to your financial aid eligibility because of the additional assistance, you will receive a revised award letter by mail. Please note that whenever you receive additional assistance, your aid awards may be adjusted or reduced, even if your financial aid has already been disbursed to you. Please note that students enrolled at more than one institution CANNOT receive financial aid from both institutions. You must not be in default on any federal educational loans, or owe any refunds on federal grants received at any post-secondary institutions or you will no longer be eligible to receive federal financial aid. You may use funds listed on your award letter only for educationally related expenses for the respective academic year. Some scholarships, such as the Michigan Tuition Incentive Program (TIP), have tuition and mandatory fee-only stipulations. The College applies your financial aid awards directly to charges on your student account. Funds in excess of these charges will be released to you. If subsequent charges are made to your student account, it is your responsibility to pay them. Check your account balance often to be sure you do not have unpaid charges. Financial aid awarded for a specific term can only pay for charges for that term and the aid can only be disbursed to you/your account during that same term. Your financial aid cost of attendance budget includes an allowance for tuition at a full-time rate. If you enroll less than full-time, your cost of attendance and possibly your aid will be reduced based on your level of enrollment. Some scholarships require full-time enrollment before disbursement. Courses for which you are wait-listed do not count when determining your level of enrollment. Note: Less than full-time enrollment may result in reduced aid eligibility. Students are required to attend class to be considered eligible for financial aid disbursement. Federal regulations require class attendance. To comply with this Federal requirement, instructors will be monitoring and reporting your attendance status. Financial aid disbursements will be adjusted for those students who receive financial aid for classes not attended. The Financial Aid Office will make all necessary adjustments once the instructor submits notification to the FA Office on non-attendance. Adjustments may create a balance due on the student account. Federal aid recipients reported as not attending will be required to prove attendance or withdraw from their class(es). The Financial Aid Office monitors enrollment levels (number of credit hours taken) each term. If you drop courses and fall below the minimum credit hour requirements, you may be required to repay all or a part of the aid you received. If you consider dropping a class, it is important to discuss your situation fully with the Financial Aid Office prior to doing so. Adjustments to your financial aid are not made until after the add/drop date for each term. If you withdraw or are asked by the College to withdraw from all of your enrolled classes, you must inform the Financial Aid Office immediately and meet with either the Director or Assistant Director of Financial Aid. If you have received a federal student loan, you will be sent information on completing loan repayment exit counseling. Depending on when you withdraw, you may be required to repay all or part of the aid you received (see Refund and Repayment Policies section). Students must also notify the Registrar’s Office and follow specific withdrawal procedures. For more information contact the Registrar’s Office. To remain eligible for financial aid, students must make “satisfactory academic progress” toward completion of a certificate or degree. Federal regulations require the Financial Aid Office to monitor the progress of each student toward certificate/degree completion. Students who fail to achieve minimum standards for grade point average and completion of classes, may lose their eligibility for all types of federal, state, and institutional financial aid administered by the Financial Aid Office. (See Satisfactory Academic Progress section for more information). Please review the Satisfactory Academic Progress (SAP) Policy in our Student Policies & Handbooks section of the website. Effective July 1, 2011, due to changes in federal regulations the Financial Aid Office is required to monitor and adjust a student’s enrollment level for Title IV aid if, or when, they repeat course work for credit that they have already earned. Students can retake courses and receive federal aid if they had previously failed a course, but can only receive financial aid twice for a course that has been previously passed. A passing grade is defined as 1.0 or higher. Please note that the repeat course policy for financial aid is separate from institutional academic polices regarding repeat courses. To repeat any failed or withdrawn course until a passing grade is received. To repeat one time any course in which they originally received a passing grade. Note: Regardless of the outcome courses are not eligible to be covered by financial aid after a 2nd attempt has been made for a course that has at any time previously earned a passing grade. Glen Oaks has a tuition refund policy that stipulates the amount of tuition and fees that are refunded to a student who withdraws from all classes during a term. The Registrar’s Office determines specific refund dates each term and publishes them in the semester class schedules. The chart below shows the amount of tuition and fees returned to a student, depending upon when the student withdraws. Students must immediately notify the Registration Office that they are withdrawing by following specific withdrawal procedures posted in the Glen Oaks Catalog, on the web site, and in the semester schedule. The federal government mandates that students who withdraw or do not complete all classes may only keep the financial aid they have “earned” up to the time of withdrawal. Title IV funds that have been disbursed in excess of the earned amount must be returned by the college and/or the student to the federal government. Thus the student could owe aid funds to the college, the government, or both. The federal policy requires a return of Title IV aid if the student received funds from any of the federal programs and withdrew, or stopped attending, on or before completing 60% of the semester. After the 60% point, no return of funds is required. To determine the amount of aid the student has earned up to the time of withdrawal, the Financial Aid Office divides the number of calendar days the student has attended classes by the total number of calendar days in the semester (minus any scheduled breaks of 5 days or more). The resulting percentage is then multiplied by the total federal funds that were disbursed (either to the student’s account or to the student directly by check) for the semester. This calculation determines the amount of aid earned by the student that he or she may keep (for example, if the student attended 25% of the term, the student will have earned 25% of the aid disbursed). The unearned amount (total aid disbursed minus the earned amount) must be returned to the federal government by the college and/or the student. The Financial Aid Office will notify and provide instructions to students who are required to return funds to the government. Official Withdrawal: A student can withdraw from all courses for a semester only in-person by completing the appropriate paperwork required by the Registration Office located in Student Services. If a student withdraws from all of his or her courses for a semester, the date of the last withdrawal status will be used in the R2T4 calculation. Unofficial Withdrawal: If a student begins to attend classes, receives federal Title IV aid, but then ceases to attend all classes without withdrawing from the courses, the Federal Government considers this to be an “unofficial withdrawal.” For Title IV purposes, faculty members will be asked to document the student’s last date of academic contact. The latest last date of academic contact will be used in the R2T4 calculation. If the faculty does not provide a last date of academic contact, the midpoint of the semester will be used. Some students may have a mixture of unofficial and official withdrawals from courses. In all cases, the latest date will be used in the R2T4 calculation.Students whose circumstances require that they withdraw from all classes are strongly encouraged to contact the Financial Aid Office and their academic advisor before doing so. At that time, the consequences of withdrawing from all classes can be explained and clearly illustrated. The financial aid office can provide refund examples and further explain this policy to students and parents. Note: Students that received financial assistance from a non-federal source, (i.e., private scholarship, Glen Oaks scholarship, etc.) may be required to return a portion of the funds to the source, depending on the terms of the scholarship. Glen Oaks Community College will bill the student for the over-payment amount. Financial Aid eligibility will be suspended and a Business Office hold will be in effect until over-payment amount is paid in full. Federal Pell Grant: ISIR received date with an “official” EFC preceding the withdrawal date and student meets all other eligibility criteria. FSEOG: Aid was awarded prior to withdrawal date. Direct PLUS, Subsidized and Unsubsidized: Loans had originated prior to withdrawal date and Master Promissory Note (MPN) was signed prior to R2T4 calculation date. If the post-withdrawal disbursement calculation indicates that a post-withdrawal disbursement is due from grant funds and the student has outstanding institutional charges, the funds are automatically applied to the student’s billing account. If the calculation indicates that a post-withdrawal disbursement is due from loan funds, or grant funds remain available after being applied to outstanding institutional charges, the student/parent is sent a letter notifying him/her of the amount available. The student/parent is asked to return the letter within 14 days indicating whether he/she wishes to receive the aid and if so, the amount. The R2T4 disbursement will be made as soon as possible, but no later than 45 days after the date that GOCC determines that the student withdrew. A school may not make a Post-Withdrawal Disbursement to the account or estate of a student who has died. Also a student’s estate is not required to return any Title IV funds. R2T4 refunds will be calculated throughout the semester. GOCC will notify the student of the results of their calculation within 45 days of the student’s last withdrawal or the date GOCC is aware of the student’s last date of attendance. The Financial Aid Office establishes standard student budgets each year as a basis for awarding financial aid funds. These budgets reflect typical “modest but adequate” expense patterns of Glen Oaks Community College students based on research conducted by the Financial Aid Office. While actual expenses will vary based on your lifestyle and level of enrollment, the estimated costs listed below should assist you in planning your own budget. The estimated budgets for the Fall/Winter and Spring/Summer terms are published annually. The Fall/Winter estimates are updated in June, after actual tuition and fees are determined for the coming year. Below you will find a cost of attendance for Glen Oaks Community College. Included in the totals are tuition and fees (fees are assessed for contact and support tech, student ID, student activities and parking), books and supplies, living expenses, transportation, and personal/miscellaneous expenses. Tuition rates vary by residency. In-District includes St. Joseph County residents. Service Area Residents include Cass County in Three Rivers, White Pigeon or Constantine School Districts, Branch County, and LaGrange, Elkhart, and Steuben counties of Indiana. All other areas are considered State of Michigan or Out of State Residents. If you are an International student, please see details in the college catalog located on our website. Please visit the Degrees & Certificates page for full, detailed information about all of our available programs. Please visit our Accreditation & Assessment page for information about our accreditation status. The feeling that the strength of an institution and the programs they provide is reflected by the institution’s ability to retain students from semester to semester has long been held. There are, however, many factors, especially for community colleges that must be considered when reviewing enrollment patterns from year to year or even semester to semester. The two most important factors are listed below. Large percentages (50.9%) of our students are enrolled part-time. This means that there may be other factors that influence whether or not the students return, such as work schedules, when classes are available, amount of free time, etc. Significant percentages (47.7%) of our students are in undecided or unclassified programs. Some are unsure of the program they want to pursue and others are taking only selected classes. This must be provided to student-athletes, their parents, high school coaches, and guidance counselors when an athletically related student aid offer is made. For information, contact the Athletic Department at 269-294-4215. As part of The Equity in Athletics Disclosure Act, information on annual participation rates and financing of men’s and women’s sports in intercollegiate athletic programs is available by request to students and the general public. For more information or to receive a copy of the report, contact the Athletic Department at 269-294-4215. Please see the Support Services for Students with Disabilities section of our Advising page for a complete listing of facilities and services available to disabled students. Listed below is the information regarding the number of GOCC graduates in our various associate degree or certificate programs for the 2016-2017 school year. Please review our Student Policies & Handbooks page for a full listing of all polices, procedures, and handbooks for Glen Oaks students. Occasionally a student will encounter a problem on campus that he or she does not know how to resolve. When this happens, students should always try to work out the problem by first discussing it with those most involved with the issue. Dealing with concerns in the most direct and honest fashion should always be the first step toward resolution. Most issues are settled and problems resolved when a student makes an appointment with a faculty or staff member and calmly and honestly communicates their frustration or concern. If, however, an issue or problem is not resolved, there is a formal complaint process at GOCC that students may initiate. All formal complaints must be submitted in writing. For complaints regarding college faculty or program integrity, students should contact the Administrative Assistant to the Dean of Academics and Extended Learning for a packet of information that describes the student concern process and outlines steps in mediation. The Administrative Assistant is located in the Administrative Offices on campus and at 269-294-4308. For more information please see the Student Concern Procedure. For general concerns or complaints or for Code of Conduct violations, please complete the College Concerns Report. The Dean of Students (or his/her designee) will review the report and investigate the concern. For information regarding accreditation, please visit our Accreditation & Assessment page. As required by the Department of Education as of October 29, 2010 regulations (34 C.F.R. 668.43), the following information is provided for complaints that are unresolved after addressing them at the College as described above. The Higher Learning Commission will take complaints related to general practices that may affect accreditation. To get more specific information, contact the HLC at 230 South LaSalle Street, Suite 7-500, Chicago, IL 60604-1411 or visit the Higher Learning Commission website. If the unresolved complaint is a consumer protection issue, contact the Attorney General at the Consumer Protection Division, P.O. Box 30213, Lansing, MI 48909-7713 or visit the State of Michigan’s Department of Licensing and Regulatory Affairs website. The Michigan Department of Licensing and Regulatory Affairs’ Corporations, Security & Commercial Licensing Bureau is the agency designated to review complaints against institutions of higher education providing distance education. Complaints concerning MCCC’s distance education activities regulated by Michigan’s Higher Education Authorization and Distance Education Reciprocal Exchange Act (2015 PA 45) may be directed to the Department of Licensing and Regulatory Affairs, Corporations, Securities & Commercial Licensing Bureau, P.O. Box 30018, Lansing, MI 48909 through the process described in the Post-Secondary Student Complaints document .Students who do not reside in Michigan may contact the authority in their home state, which may be found on the website of the State Higher Education Executive Officers Association . Information prepared by the Financial Aid Office at Glen Oaks Community College. Institutional & Foundation scholarship applications are now submitted online through our Etrieve portal.